Putnam County Playhouse: CTW for 2018 HAPPENING NOW! CTW for 2018 HAPPENING NOW! 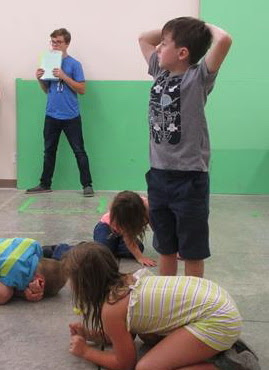 The annual PCPH Children's Theatre Workshop is in full swing this week. Organized and produced by Caroline Good, the CTW allows students to learn about theatre by participating in games and taking part in a full stage production. The presentations this year are Snow White: A New Narration written by Alexandra Gandy and directed by Gandy and Ohenaba Akua Quarshie. 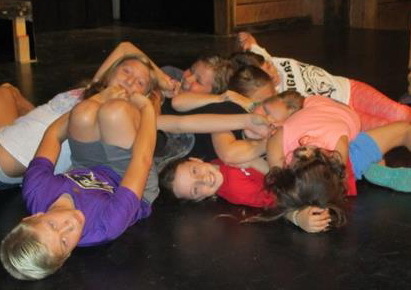 Appearing in this episode are Maggie Cooper, Ella Tischer, Alexander Bruggerman, Katie Funk, Emily Hunsinger, Clara Everett, Madison Stahl, and Sarah Nichols. 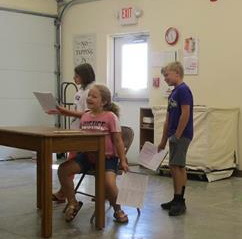 Also in this cast are Gunner Reach, Maisy Isaacs-Bailey, Lilly Green, Lydia Wells, Jake Hu, Jocelyn Gardner, Josie Tischer, Samuel Welch, Jewelee Butcher, Bentley Pettit, Devin Huff, and Jayden Jackson. The second production is Goldilocks and the Bad Idea written by Rebecca Hebb & Isabella Green and directed by Caroline Good & Robin Schneider. 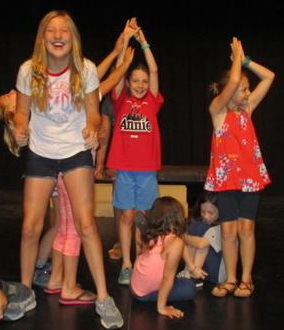 Its cast features Lara Schneider, Addalyn Brinkman, Grayson Linnewebber, Penny Cummings, Reese Query, Catherine Ryan-Schager, Maura Lazar, Lillian Welch, Bryson Worman, Jade Hu, and Elyse Ensley. 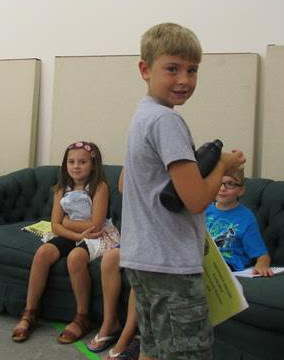 Also in the cast are Josie Cox, Parker Helmer, Joey Draper, Aiden Brinkman, Harvey Cummings, Lydia Grove, Quinn Pettit, and Jasmine Cummings. Technical crew for both productions are Fiona Good and Quarshie. 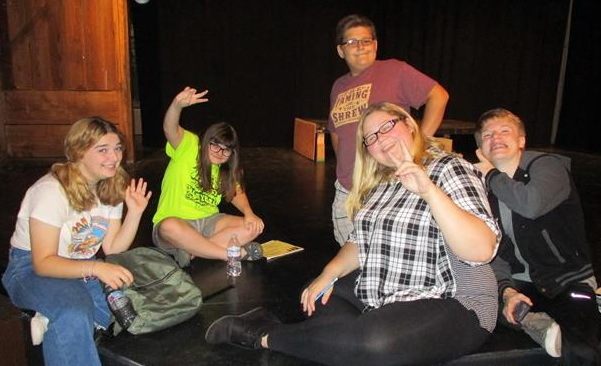 Interns for the Workshop this year include Craig Robinson, Devin Huff, Grant Pettit, Fiona Good, Katie Newtown, Rebecca Hebb, Isabella Green, Samantha Funk, Boyd Ensley, and Evan Lazar. 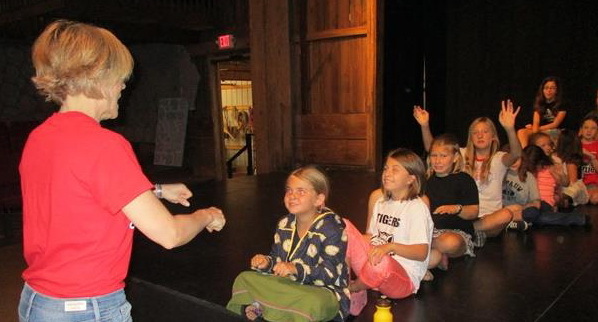 The performance will be Friday, July 27, at 7 p.m. in the Hazel Day Longden Theatre. Admission is free, and the public is invited to attend! Who's Going 'Barefoot in the Park'?